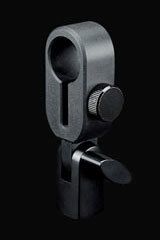 The DTP 340 TT is a compact supercardioid dynamic microphone, intended for drums and percussion but useful for numerous stage and studio applications. The mic’s frequency response is described as “optimized for percussion applications;” the plot shows a scooped-mid EQ curve, with a +4dB LF peak from 80Hz–200Hz and a HF presence peak from 3kHz–10kHz, with -3dB points at about 50Hz and 12kHz. 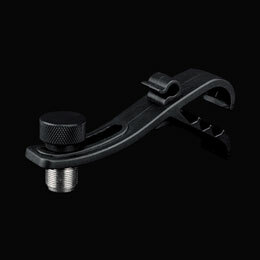 The moving-coil capsule in the DTP 340 TT is unique to this microphone. It has an outside diameter of 25mm. The DTP 340 TT is sold individually, as well as within Lewitt Audio’s 7-piece drum kit microphone bundle, the DTP Beat Kit Pro7. In this bundle, the DTP 340 TT has a subtly different finish on the wire mesh, to cosmetically match the rest of the mics in the kit; the part number for this mic is DTP 340 TTS. The mic ships in a foam-lined cardboard box, with a rubberized mic clip (Lewitt Audio p/n DTP 40 Mts; shown at right), Lewitt’s drum rim mount (p/n DTP 40 Mt; shown below), and leather storage pouch (p/n DTP 40 Lb). 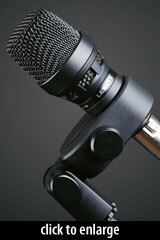 The DTP-series dynamic microphones are transformerless and have no humbucking coils. Therefore, the DTP 340 TT and DTP 340 REX have no circuit to speak of: just a capsule wired to the XLR jack. 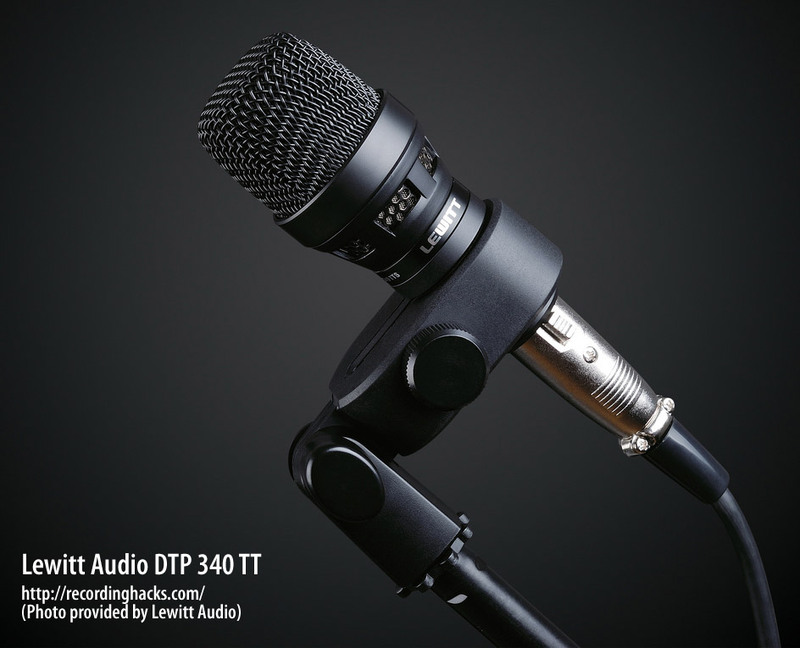 The Lewitt Audio DTP 340 TT is also known as: DTP 340 TTS.